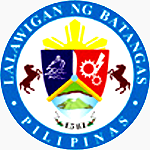 Below is a listing of hospitals in the Province of Batangas, sorted alphabetically but also categorized into as per type of hospital into primary, secondary and tertiary. The hospital's location in terms of city or municipality is also provided. This list is intended to be a guide for the general information of the public and not intended to be the basis of any life and death decisions. The list is obtained and condensed from another source acknowledged at the bottom of this page and may change over time.